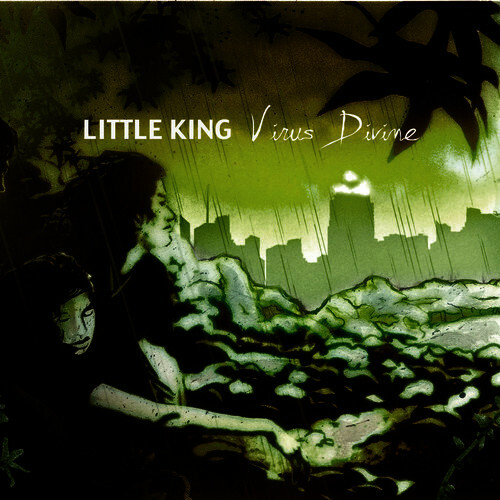 A rock power-trio from the Southern US, Little King acquit themselves well on debut release Virus Divine. Vocalist Ryan Rosoff, who writes the lyrics, sounds a bit like Daniel Gildenlöw when in full gear, but usually has a more gentle voice. I’m reminded somewhat of King’s X, as Virus Divine shows the power trio format filtered through the 90s alternative movement. The only progressive music it really sounds much like is the more commercial stuff from Queensrÿche, or better Fates Warning material such as “We Only Say Goodbye.” Essentially ballad-style hard rock with a somewhat metallized voice. That is not to say it is not well done, because as a series of rock songs there is a lot to like about Virus Divine. The rhythm section lays a good, driving vibe, the songs all have momentum, there are definite hooks and the songwriting is up to snuff. It is just a bit out of place in Exposé, despite its presence on Unicorn and its having been mixed by Terry Brown. Of course not all our readers restrict themselves to twelve-tone compositions played exclusively with spoons, so if you want some well-done, obscure commercial rock, this is worth a hear. With eight tracks totaling 36 minutes, it doesn’t require an extended commitment.